This is an op-ed by Fred Lambert, Electrek’s editor-in-chief. The good old ‘Tesla Killer’ moniker, which the media often apply to virtually any new electric vehicle, is coming back into the spotlight as German automakers are launching a new EV offensive. 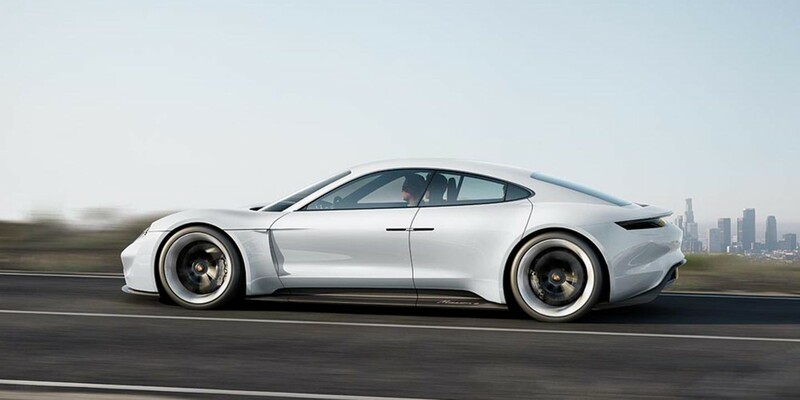 Around this time last year, Audi unveiled the quattro e-tron and Porsche unveiled the Mission E. The automotive press was quick to dubbed the vehicles ‘Tesla Killers’ seemingly only based on the fact that they are all-electric luxury vehicles that would theoretically compete against the Tesla Model X in the case of the quattro, and against the Model S in the case of the Mission E.
Now a year later, Mercedes unveils its ‘Generation EQ’, an all-electric SUV, and several other EVs are on the map, and again the media jumped back on the ‘Tesla Killer’ train. Business Insider seems particularly fond of the term, but they are far from the only culprit. I want to start by saying that I think the Bolt is a great initiative from GM and I am glad to see this major car manufacturer committing more seriously to pure electric vehicles. This article is not a hit piece on the Bolt, but rather a critic of the reporting around the vehicle. Recently some media have been implying that the Bolt might be a “Tesla killer” or more precisely that it is going after Tesla’s third generation vehicle currently in development, the Model 3. These claims are unfounded and derive from this bad habit of seeing all electric vehicles as one big car category.